This post will be quick because it’s hot outside, and I really, really want to spend all of Independence Day by the water! 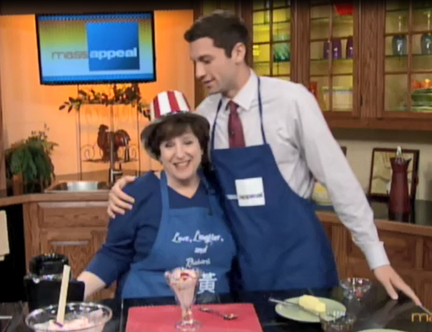 For my TV appearance this week, I decided to make dishes beloved of a couple of our founding fathers. I started out with George Washington’s Hoe Cakes, which I first wrote about here after my visit to GW’s gristmill near Mount Vernon. They were as tasty as I remembered: crispy and corny. 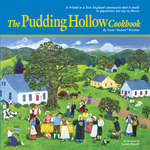 I went on to make a strawberry fool in honor of John Adams and his pioneering wife Abigail Smith Adams. 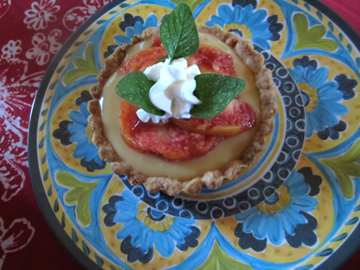 According to The Food Timeline and other sources, the pair were fond of a simple, rich gooseberry fool. I didn’t have any gooseberries—but strawberries have just reached their peak here in Massachusetts. So I made those into a fool. Everyone who tasted it raved. Neither dish will warm up your kitchen too much, and both will make you respect the taste of our first and second president. 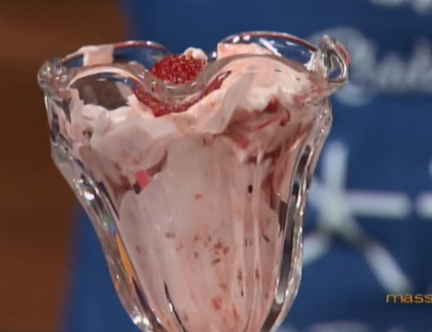 Here’s the recipe for the strawberry fool. If you have strawberries and cream in the house, you can eat it in less than 15 minutes. I wish you a Glorious Fourth! Toss the strawberry pieces in half of the sugar, and let them sit for 10 minutes to juice up. Place half of the strawberries and all of the strawberry juice in a blender. Puree the mixture; then stir it into the remaining strawberries. Whip the cream until it holds stiff peaks, adding the remaining sugar and the vanilla when it is almost ready. Fold in the berry mixture. Serve immediately. Serves 4. Today music lovers around the country (and probably around the world) celebrate the centennial of the 20th century’s most popular singer. 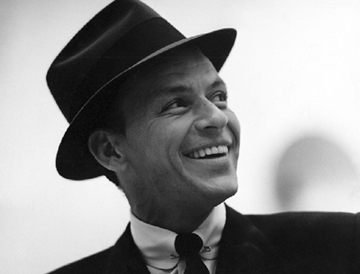 Frank Sinatra crossed generations in his appeal, then and now. 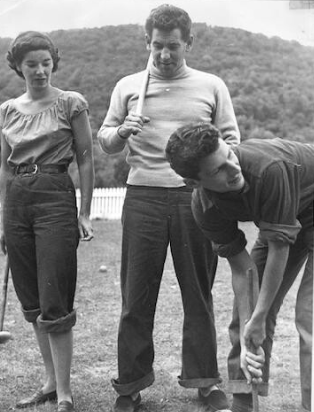 He was born on December 12, 1915. I actually fêted Frank and his birthday a bit early to avoid the rush. 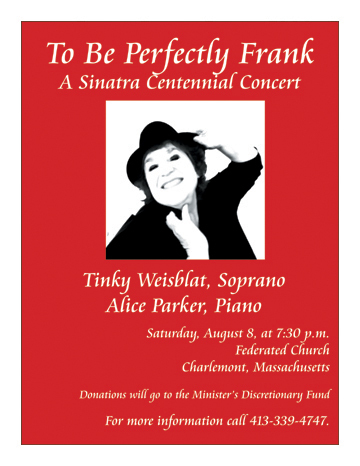 In August, with the help of my neighbor Alice Parker, I performed my own Sinatra concert in Charlemont, Massachusetts. The concert was a delight. I didn’t actually try to BE Sinatra, of course. I don’t look like him, and I don’t sound like him. Instead, I tried to be Sinatra-esque in my approach to the music, working on my phrasing and feeling the melody and lyrics as much as I could. The audience loved the evening—and so did I. 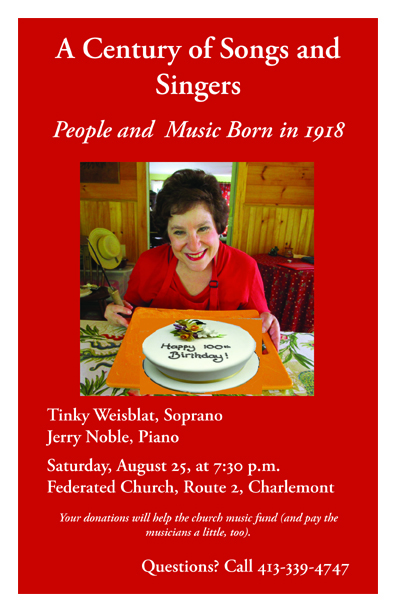 The concert was a fundraiser for the minister’s discretionary fund at the local church. We asked community members to bring refreshments to serve after the music. One of the offerings was particularly appropriate for the concert’s Italian-American subject. 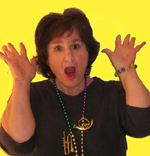 Camille Azzalina White is a lively, attractive widow who directs the local senior center. 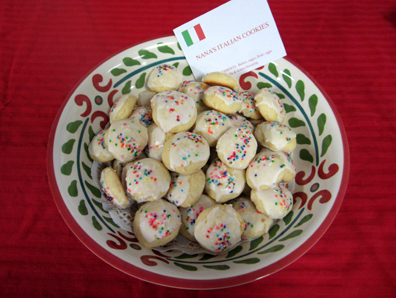 Camille baked her grandmother’s Italian cookies for the concert. Everyone who tasted one fell in love. Naturally, I asked the baker to give me the recipe—and a little information about her grandmother. 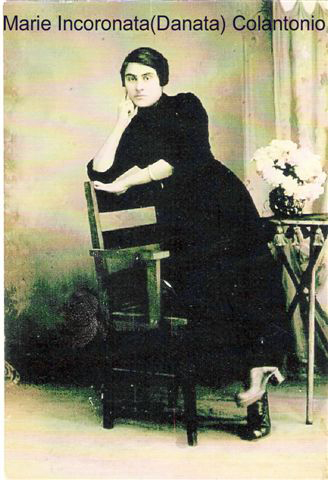 Camille’s “Nana,” Marie Incoronata Danata Colantonio, lived from 1897 to 1988. 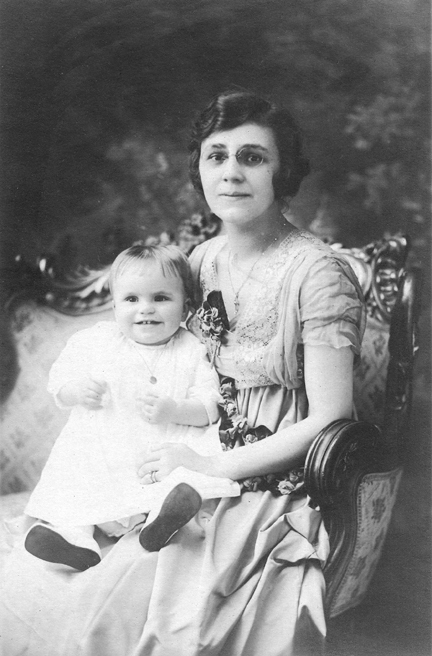 Although her parents were immigrants from Frosolone, Italy (she was one of ten children), Marie was born in this country. 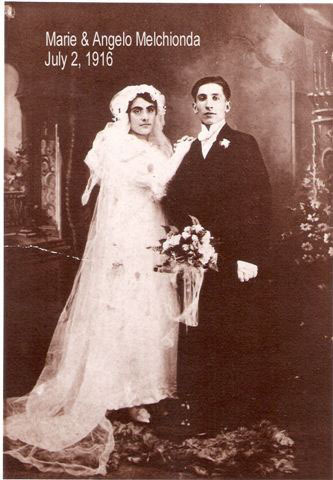 Nevertheless, because of a 1907 law that was fortunately changed during her lifetime, she actually lost her U.S. citizenship in 1916 when she married Angelo Melchionda, an immigrant who had not yet been naturalized. She was forced to take a test to regain her status. This and other vintage photos come courtesy of Camille White. Camille grew up in a multigenerational house in Medford, Massachusetts, along with her parents, grandparents, siblings, and aunt and uncle. 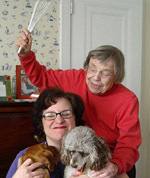 Her grandmother was a benevolent, generous matriarch. 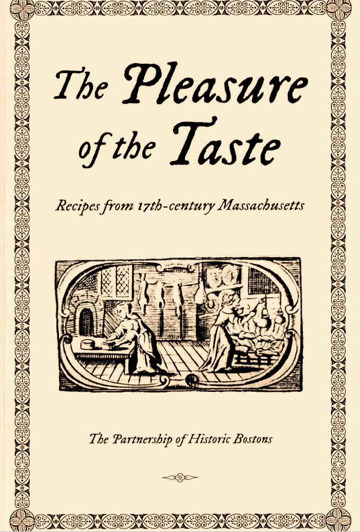 “Although Nana worked full time outside the home [she was a stitcher in a factory in the north end of Boston],” her granddaughter remembered, “she found time to cook many delicious meals for her family, who always came first. Sunday meals especially became a family gathering with relatives visiting for dinner or dessert after dinner. 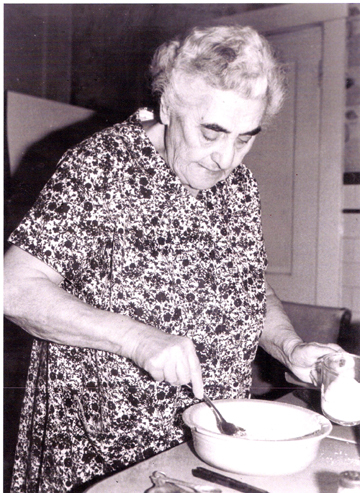 Nana Melchionda makes frosting for her cookies. “Each time I make and bake these cookies,” she told me, “I recall many happy childhood memories of family, anticipation for the holidays, and mostly so many loving times spent with my dear Nana. I’ll definitely make these cookies for Christmas this year. (I have a cookie swap coming up!) 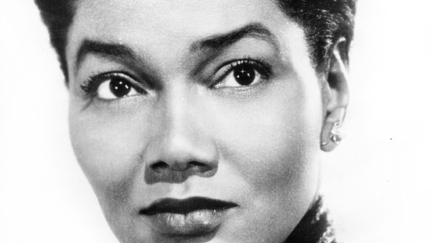 My baking will honor the Sinatra centennial—and also Camille’s Nana Melchionda. Meanwhile, I wish a Merry Christmas and a Happy New Year to all…. Preheat the oven to 375 degrees. Line cookie sheets with parchment paper or a silicone mat. Cream together the sugar and the butter. Add the eggs, the anise oil, and the vanilla. In a separate bowl blend together the sifted flour and the baking powder; then add them to the butter mixture. The dough will be sticky. Refrigerate it for 1 to 2 hours, wrapped in plastic wrap or wax paper, to make it easier to handle. When the dough has cooled form rounds about a teaspoon wide (a little larger is acceptable) by rolling them between your palms. Place the rounds on the prepared cookie sheets, and press down on the top of each lightly. Bake the cookies until they are lightly browned on the bottom, about 20 minutes–MAYBE LESS. Start looking at 13 minutes. Watch the cookies carefully as they can burn easily. While the cookies are in the oven prepare the frosting. In a bowl whisk together the confectioner’s sugar, the milk, and the lemon flavoring until the mixture pleases you. It should be thick but not too thick. Dip the tops of the cookies into the frosting, place them on wax paper, and add sprinkles to make them extra festive. Makes 2 to 3 dozen cookies, depending on how big you make them.